Roads from the west, north, and southeast met just outside Yudam-ni near the southwest corner of the Chosin Reservoir. First Marine Division's G2 expected only weak opposition when the 5th Marines attacked west. In fact, ten veteran Chinese divisions were about to spring a trap that required the utmost in endurance and fighting heart for the Marines to fight through. The 1st Marine Division landing at Wonsan formed the cutting edge of X Corps, and surprised China's Chairman Mao Zedong. He fully committed China's vast, veteran army to the Korean War, ordering the entrapment and destruction of the entire Corps; the ROK Capital and 3rd Infantry Divisions, and the US 1st Marine and 7th Infantry Divisions. 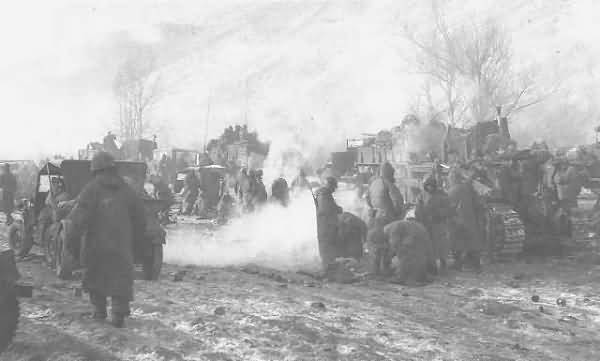 The resulting battles began late November, at Yudam Ni, with the Marines fighting their way out of the trap in a series of savage tactical victories amidst overwhelming strategic defeat over some of the roughest terrain during some of the harshest winter weather conditions of the Korean War.